DEFIANT Wrestling has announced that PAC will be making his debut for the company in 2019. 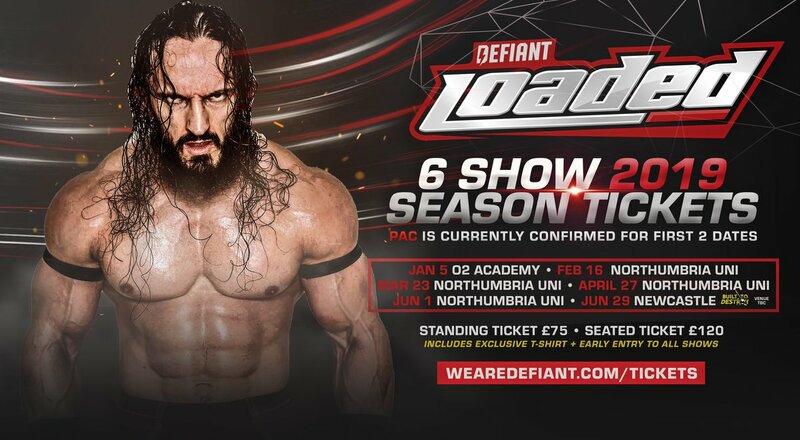 The former WWE Cruiserweight Champion is confirmed for the first two dates of 2019’s ‘Loaded’ tapings. We are coming to Newcastle next year every 5 weeks on Saturdays! PAC is confirmed for the first two dates (Jan 5/Feb 16).